I'm so excited to bring your child's drawings to life one at a time. I will be taking a FEW new orders for Christmas. 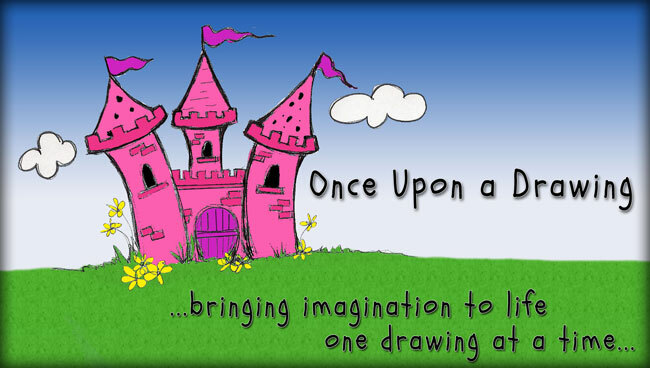 I am booked thru the middle of October at this time so....if your looking to have a 'Once Upon a Drawing' Softie for a Christmas gift, don't delay!! 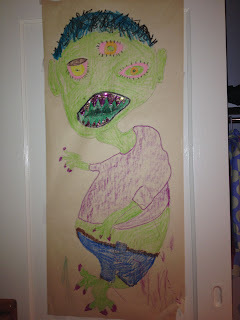 Some of you are visiting my blog because you are looking to have a 'softie' made from your child's drawing. Some of you are visiting because you have found out that I am working on a project with Stone Gossard of Pearl Jam. I am turning a number of his fabulous drawings into 'softies' for giveaways to promote his new album. The drawings are awesome and quite a challenge! I will post pictures of them soon. Thought you all might want to see the drawing and 'softie' that started this fabulous journey. So after the Holidays, the flu bug galore, and trying to catch up I can see a very small light at the end of the tunnel! I am still a bit behind and am TOTALLY booked thru March and a bit into April but am finally ready for a few new orders :) If you are ready to have a softie made then lets talk and get you on the list!! **UPDATE** I am now booked thru the middle of August. Karey's daughter loves to draw. She drew this fun little critter and Karey had me bring it to life for her birthday. How FUN!! Last 2 months worth of SOFTIES!!! I made these softies for a lady who writes childrens books. They are a couple of her chracters.....more to come.